There aren’t many things more American than pizza. While yes it may hail from Italy, I would be so bold as to say it was America who took it to the next level. Unfortunately most pizza is not we might consider to be a physique-friendly food. It tends to be very calorie dense and eaten in large quantities. It also tends to be incredibly high in sodium and often loaded with low-quality high-salt processed meats. Not a winning combination. Fortunately there are some fantastic pizza recipes out there that allow us to enjoy this fantastic food and improve our health in the process. One recipe in particular is the Chicken Pesto Pizza from Gourmet Nutrition. It is utterly delicious and is my personal favorite recipe from the entire book. I have also come across another recipe that is absolutely amazing as well. It is much more like a traditional pizza than the one from Gourmet Nutrition, which is nice. Place tortilla onto pizza stone. Arrange chicken, garlic, cheese and tomatoes on top of the tortilla. Sprinkle basil and thyme evenly over pizza. Bake on the lowest rack of the oven until the tortilla turns brown and the toppings are hot, about 15-20 minutes. On another note don’t forget that tomorrow night at midnight is your last chance to get the Show and Go Training System at 50% off. Eric also added an additional bonus for anyone who purchases Show and Go before midnight tonight! This new Bonus is called ‘Warm Ups 2011′ and it goes behind the scenes at Cressey Performance and shows you how he prepares some of the top athletes in the world to prevent injuries and maximize performance. Tim Collins, one of EC’s professional baseball players even demonstrates it. Pretty sweet. Even if you can’t purchase it before tonight, the 50% off sale only lasts until midnight on Friday so don’t let it pass you by. Between EC’s training, soft-tissue work, warm-ups, and conditioning and my nutrition and supplementation, Show and Go will make you fitter, leaner, more muscular and healthier while improving mobility, flexibility and performance all at the same time! The Danger of Egg Yolks? A reader sent me a hilarious video that I think you will all enjoy. It is information like this that simply confuses people and has them question good dietary practices. Seriously awful. All those terrible monounsaturated fats in eggs, and those terrible omega-3′s. Yes there is some saturated fat too, but that’s not a problem either. That is a perfect example of throwing out the baby with the bathwater. Due to the small amount of saturated fat in an egg he is recommending to toss it out, regardless of all of the other incredible nutrients you are tossing out with it. Simply foolish. Stuff like this happens all of the time in the nutrition field unfortunately. People go to these weird extremes or cling to fad diets looking for the “magic” answer. It’s not there, and it certainly is not about throwing away glorious egg yolks. On another note my buddy Kevin Neeld released his Ultimate Hockey Training System today along with a cool video describing its awesomeness. In all seriousness Kevin is the Director of Athletic Development at Endeavor Sports Performance in NJ, and he specializes in training hockey players just like Eric Cressey specializes in baseball players. Kevin works with tons of high school, college and professional hockey players, including some top guys in the NHL and he knows his stuff. To boot I was also fortunate enough to write the Nutrition Guide for this product as I played competitive hockey for the first 20 years of my life. I have also trained and nutritionally counseled high school, college and professional hockey players myself. This product was created by guys who have not only played the sport at a high level (Kevin played D1 college hockey, I played in juniors), but who coach and work with guys (and girls) who actually play the sport. That is a rare combination and most certainly is a recipe for a kickass product, so if you are in any way involved with hockey do yourself a favor and check it out. To top it all off you actually receive a physical book when you place an order as well as immediate access to the PDF. How awesome is that? Eric Cressey just announced his World Series sale on his most popular Training System, Show & Go: High Performance Training to Look, Feel, and Move Better. He’s offering a full 50% off on the system and is giving away some really cool bonuses to boot, including a free LIVE Question and Answer Session for anyone who purchases by Tuesday at midnight and can have their questions answered on the spot! I’ve known Eric for several years, and worked for him for 3 of them, and I can personally tell you that he is one of the best performance enhancement coaches in the world, working with over 70 professional athletes, as well as hundreds of college and high school athletes, in addition to the everyday gym goer. He has worked with them all and has combined that knowledge into one amazing training system. In addition, for those of you who don’t see the picture on the right side of your screen (your right), I wrote the tag along Nutrition Guide for Show & Go, which is also available in this sale, so check it out! This past week was one of the craziest of my entire life. I felt like I worked virtually around the clock to get everything done. Fortunately everything worked out, got done on time and in a quality manner. Now you could say that sleep was not a huge part of the equation this week (getting up a 3am to get work done will do that to you), however I slept in until almost 8am this morning. Since then I have relaxed, eaten breakfast and read some interesting blogs that I wanted to share with you guys. So check them out. Transitional Speed Training – by Kevin Neeld. Kevin has just released his Ultimate Hockey Training System which I was fortunate enough to contribute the Nutrition Guide for. As a former junior hockey player I can tell you first hand this video and the product are fantastic and will make a huge impact on your on-ice performance. As a strength coach I can also tell you that I have seen Kevin coach in person way back in the day when he interned at CP, and he is phenomenal. Watch the video and tell me you don’t agree! Mistakes Skinny Guys Make: Flipflopitis – by Tony Gentilcore. This is a fantastic ongoing series over on Tony’s site that you should check out. In this installment Tony expounds on a great Dan John quote “The goal is to keep the goal, the goal.” He applies it to skinny guys always bouncing from program to program and always trying the next best thing rather than actually following a plan through to completion. In reality this applies to the ENTIRE population, so definitely give this one a read. Losing Fat With Simple Food – Two Reader Anecdotes – by Stephan Guyenet. Two readers of wholehealthsource provide their stories on a low-reward diet. This is a simple yet fascinating read to see how they responded to the lifestyle change and how it affected their weight and body composition. They also point out numerous times that low-reward does not equal low-palatability, which is a very important disctinction. For those of you who enjoyed Eric Cressey’s fantastic video, The #1 Reason You Aren’t Getting Better,the other day, I have some great news for you. Eric has just released another webinar video entitled My Top 10 Strength & Conditioning Mistakes. Personally, I love videos like this. When top-notch guys that I look up to share the mistakes they made and how you can avoid them it provides some key insights into how to be successful in this industry. It is not always about what you do, it is sometimes about what you don’t do, and EC gets that. According to EC, virtually all programs he sees make at least 3-4 of these mistakes, so if you want to avoid these pitfalls in your own training (or coaching), you need to watch this webinar for sure. Eric really clears up a lot of training and programming misconceptions in this webinar. Things that are common practice in many training programs, he identifies as mistakes and tells you why, so don’t miss out on this opportunity to dramatically improve your programming. On another note I received an unsolicited email from an appreciative blog reader recently that I thought was worth sharing with you guys. As you know I certainly have my opinions when it comes to vegetarians/vegans (here and here), and it is nice to hear from one who has “figured it out” and goes about this dietary lifestyle the right way. Check it out. I have been meaning to reach out to you for a while now. Your blog is an outstanding resource. I come to it with a different perspective. I have been a vegetarian for 8 years, 7 of which where strict vegan. Coming out of college as an impressionable 23 yr old, I soon made the drastic decision to become a vegan. 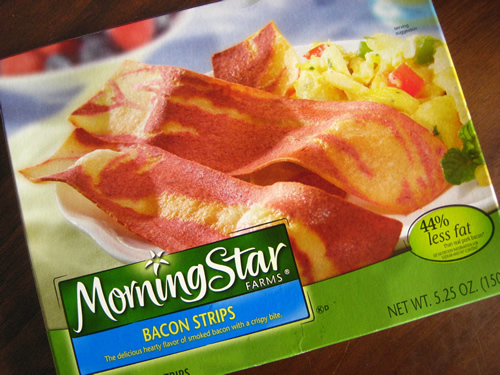 I was convinced it was the healthiest, more sustainable, world saving diet…blah blah blah. Along the way I made several dietary mistakes, but never stopped exploring the alleged health benefits and or drawbacks. Over the past 2 years I began playing the devils advocate to my very own diet. Your blog has helped me tremendously with that. 2 years ago I tested low for vitamin D and B12, and I’m sure my omega 3 to 6 ratio was horrible, not to mention I was 6’3″ 170lbs (yikes). I have since significantly increased my fat consumption, mainly coconut and avocado,flax,chia, and algae DHA, and more recently pastured eggs from a local farm as well as pastured butter. 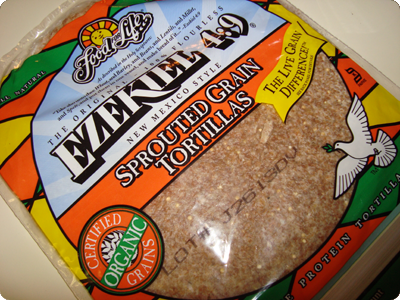 I soak all of my legumes,grains, and stick with potatoes and Ezekiel products. I feel better than ever. My strength and weight are consistent (currently 215lbs), and not to mention I’m not hungry all the time. Years ago I used to rely on processed soy “fake meats” and the like. Now I avoid those entirely. I’m still very much concerned about unnecessary animal cruelty, and the ecological issues involved with less sustainable farming, however, that doesn’t mean that I shouldn’t be eating real food. From a nutrient perspective, it’s now clear to me that eggs from a humanely raised, pastured hen, are a more sensible compromise than highly processed imitation protein. I can’t tell you enough how much I appreciate your work. There are so many misconceptions in the field of Nutrition, and it’s so helpful when someone like yourself filters through it for the rest of us. Eric Cressey has just created a new video entitled The #1 Reason You Aren’t Getting Better. As usual from EC it absolutely fantastic stuff! The best part is, it is completely free. No pitch, no opt-in, just pure, original, top-notch content from one of the best strength coaches in the world. On an entirely different note I have been getting absolutely hammered in fantasy football this year. I am 3-3 in the Cressey Performance League, and an abysmal 2-4 in a league with my long-time friends from home. Plain and simple, I did not do enough research or preparation for the draft this year. It simply was not high on my priority list. However the point of this isn’t to discuss my futility in drafting football players. The point is that sometimes there are things in life that must take the backburner. It doesn’t mean you abandon them, it just means that they are not something that consumes a large portion of your life. For example lifting used to completely consume my life. In college I built my class schedule around my training and rugby practices. It was one the most important things in my life. Today things have changed a bit. I am getting my Master’s, in an internship full-time, have a wife, pets and 5 month old daughter (who is just a doll) in addition to blogging and working with my stable of online clients. My own training (and fantasy football unfortunately) is no longer paramount. Training is still important to me, it is now just lower on the food chain. I still manage to lift 2-4x/wk (let’s be honest, rarely 4, usually 3), and ensure that those lifts are as efficient as possible. Not a whole lot of fluff in my training. Most days I am training by 6:15am, and I have about 45 minutes to foam roll, warm-up and go. I am also active on the weekends as we go for family walks and hikes, just not quite the same intensity as it used to be. While my fitness and health are incredibly important to me, being the strongest guy in the gym no longer is. I still enjoy training for strength, but I am content merely be strong, rather than the strongest. Some may call this soft, I simply call it recognizing that my life and my priorities have changed, and my training with it. The whole point of this post is make clear that though we are all busy, and even the most fitness-oriented of us find it a challenge to exercise as much as we would like, it should still be an integral part of your life. You must MAKE time for it, because I can promise you that you won’t be able to find the time for it. While I certainly understand if you don’t build your daily schedule around it like I once did, it should still actually be in your schedule. A friend sent me a great recipe that I thought you would all love. It combines a delicious combination of chicken, apples, curry and raisins. Absolutely fantastic stuff. Check it out and let me know what you think! In case you missed it, check out Part 1 of this series. Go ahead, I’ll wait. I want to highlight one more culture that I think disproves once and for all the notion that somehow carbohydrates in and of themselves are causing all of our health problems today – The Kitavans. 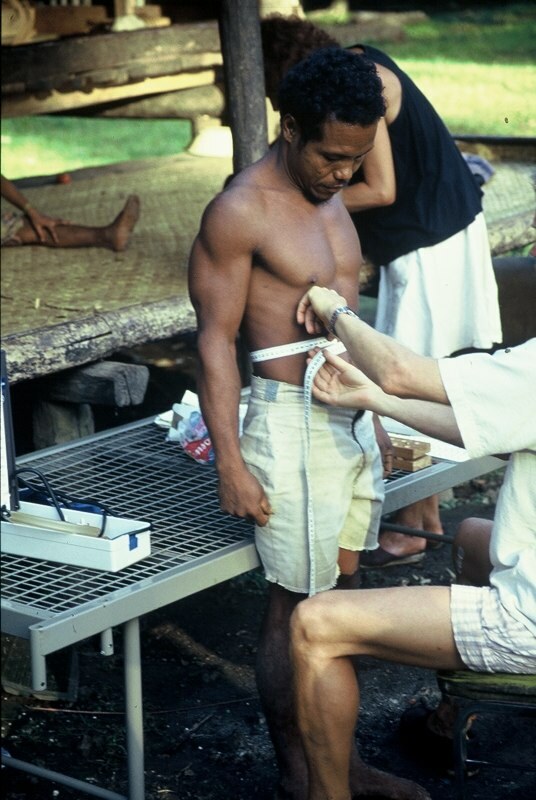 The Kitavans are an isolated people in the Melanesian islands, and they were studied in multiple ways by Dr. Staffan Lindeberg and company. Their diet consists primarily of starchy tubers (yam, sweet potato, taro and cassava), fruit, vegetables, coconut and fish, in descending order of calories. This provides them an estimated 69% of their 2,200 daily calories from carbohydrates, 21% from fat (17% of total cals are from saturated fat, mostly from coconut), and 10% from protein. Due to their high fish consumption and no industrial vegetable oils, they have an omega-6:omega-3 ratio of 1:2. Compared to the Standard American Diet (SAD), their intake is high in carbs, and definitely high in saturated fat, though low in total fat and protein. In the past 10-15 years or so there has been an ever increasing focus on carbohydrates and the possibility that they are causing so many of the metabolic problems we face today. Problems such as metabolic syndrome, type 2 diabetes, overweight, obesity, cardiovascular disease and more. First there was the Atkins craze, which while effective was certainly not an enjoyable diet for the majority of the people on it. This was soon followed by South Beach, which was slightly more enjoyable but still did not provide a sustainable lifestyle. Then came the Paleo movement, eschewing grains, legumes and more, which still seems to be gaining steam and has zealots extolling its virtues to the point of being more like a religion than a diet. Fueling this fire was Gary Taubes’ Good Calories, Bad Calories. While I feel this book was excellent at dispelling the diet-heart hypothesis as the cause of heart disease, its simplistic focus on carbs and insulin as the actual cause of our health problems is short-sighted and incomplete. This switch from pointing all of the blame at fat, to now pointing all of the blame at carbohydrates is making the same mistake as the diet-heart hypothesis. You are taking health outcomes, which are highly complex issues affected by a huge array of factors, and trying to pin the problem on one element. It just isn’t that simple. Squat – by Mike Robertson. This is 8500 words covering everything you could ever imagine on what is undoubtedly one of the most effective exercises known to man. Anything you ever wanted to learn about squatting, any questions you have ever had, Mike has it all covered! This is a can’t miss post! What an Elbow Alone Can Tell You About Strength and Conditioning Program Design – by Eric Cressey. Eric is really smart. I mean really smart. He showcases it here, but he does so in a manner that easily understood. If you want to learn more about the why’s and how’s of programming based on proper assessment, this is a good read. Humans on a Cafeteria Diet - by Stephan Guyenet. Stephan is one of my favorite writers, and always provides topnotch work. This piece is no exception. Stephan presents some very interesting research on how industrially processed food causes spontaneous overfeeding. Don’t forget that Mike Robertson’s Complete Core Fitness is on sale through midnight tonight. It comprises seven webinars that covers functional anatomy, Mike’s assessment process, and the four phases of core progressions that he uses with clients. I’d strongly recommend you check out Complete Core Fitness.